Can’t find what you’re looking for in our standard packages? Our experienced team can develop a solution to fit your particular need. Together with our parent company, Lemon Companies, we function as a multidisciplinary IT partner that works with you instead of for you. Looking for a secure and dynamic way to store your files? A private cloud is a particular model of cloud computing that involves and secure cloud based environment in which only you or your coworkers can operate. It’s particularly interesting for those who value security or work with sensitive data. 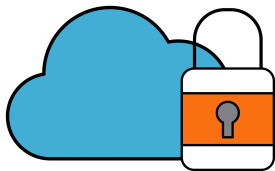 This cloud storage solution will keep all your sensitive company data safely stored within the EU. This will help you to be prepared for coming data protection and safety regulations, like GDPR. 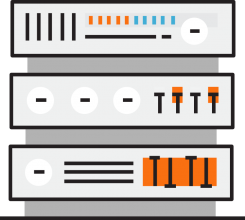 A dedicated server is a type of internet hosting where you lease an entire server that is not in any way, shared with anyone else. This way, you ensure full server control, security and performance. It is mostly used by websites or applications that receive a large volume of traffic.